Don't be afraid to stand out!! Needless to say, I pretty much have blown those rules out of the water! Check out my 2010 Review Part One and 2010 Review Part Two to see how my sense of style evolved into what I consider a strong base. 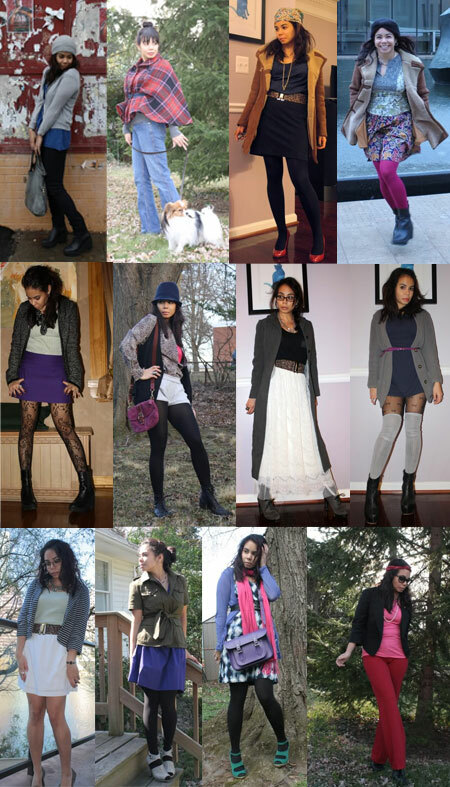 But I really think 2011 is when my personal style really started to shine!!! 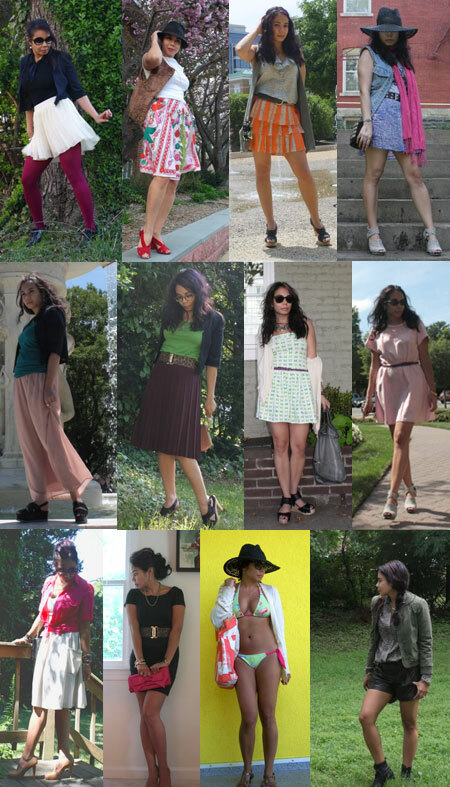 Ahh, some of my favorite looks from 2011! As you can see, I began to more heavily accessorize in the first part of the year, played around with mixed prints, began to really get obsessed with blazers for layering and rocked some serious color!! Right about summer time I began to really understand what it meant to pile on the jewelry! I practically wore every single bracelet I owned at my bridal shower which I think really helped me break through my wall! In the last part of the year I got married!! I loved my dress, which I designed myself and highly recommend others do! I also got obsessed with my indigo blazer courtesy of Zara, chopped off my hair and went blonde!! 2011 was amazing, I'm not sure how I can have an even better year! I do plan to push my style boundaries though, what style resolutions should I make? I'm thinking I should wear more brooches and perhaps try out more monochrome looks... What suggestions do you have for me?? So much fun to see all your outfits together! Happy New Year!